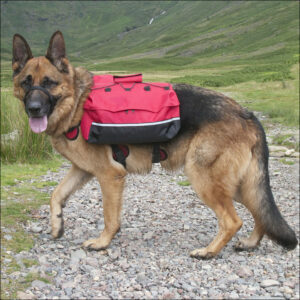 This is one of those vest-style designs of harness which are becoming increasingly popular. 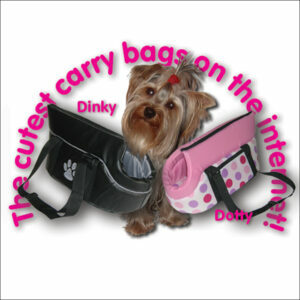 The design of this harness, made by Trixie of Germany, has much in common with the similar harnesses you’ll see in Pets at Home and other supermarkets and pets shops – when you’ve handled and compared the different products (which of course we have) you’ll understand why the Trixie Comfort harness comes at a higher price band. With these harnesses you certainly get what you pay for! The airtex-type mesh material of these harnesses follows the dog’s contours; think of Olympic cyclists in their figure-hugging outfits and you’ll get the picture! 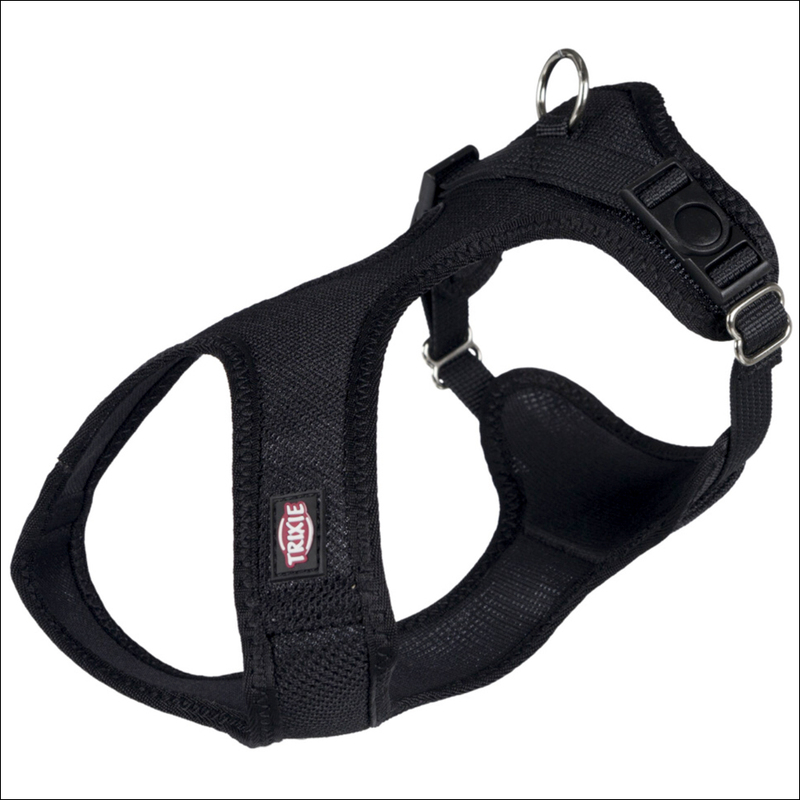 The harness slips over the dog’s head (sometimes a problem for pugs, French bulldogs, Staffies etc – if you have a large-headed breed of dog let’s discuss it before you buy anything) and is fastened around the body using two snap-click fasteners, one on each side of the harness so equal adjustments to fit the harness to your dog’s girth can be made on both sides of the harness. 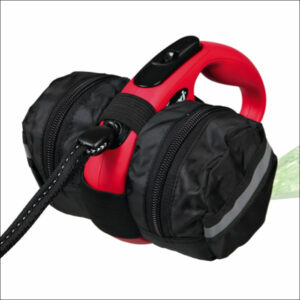 (That’s one obvious difference when compared against the supermarket versions which all have only one adjuster, meaning the harness is inevitably – to some degree – imbalanced.) 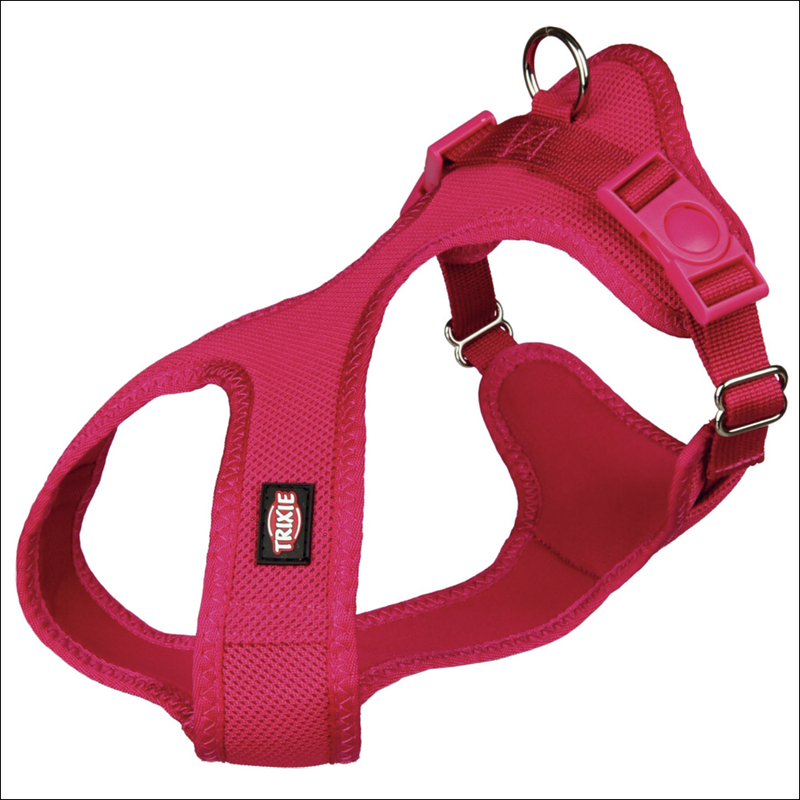 I know that it takes a minute or two more to adjust two adjusters rather than one – but you’re only ever going to need to do it once and the fit of the harness on your dog will be all the better for the extra ounce of trouble you’ll be taking. Your lead will be fastened to the ‘D’ ring at the top of the harness. 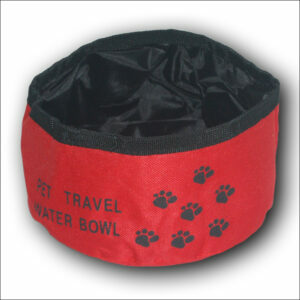 On ‘touring’ style harnesses the fastening ring is positioned further along your dog’s back than it would be with many other styles of harness. 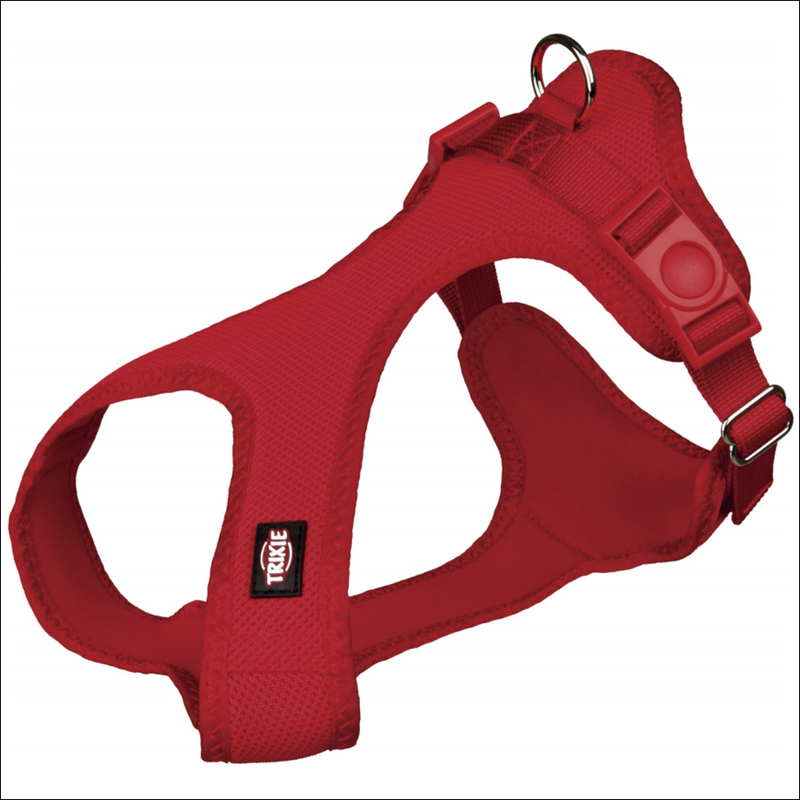 If your dog is particularly excitable and you need to constantly be exerting control then for the heightened level of control you need this isn’t the best choice of harness. A useful feature of these harnesses is the unusual method of click fastenings (the round ‘buttons’ which you can see in the photos) – much easier than the usual clips for stiff or even arthritic fingers to fasten and unfasten. 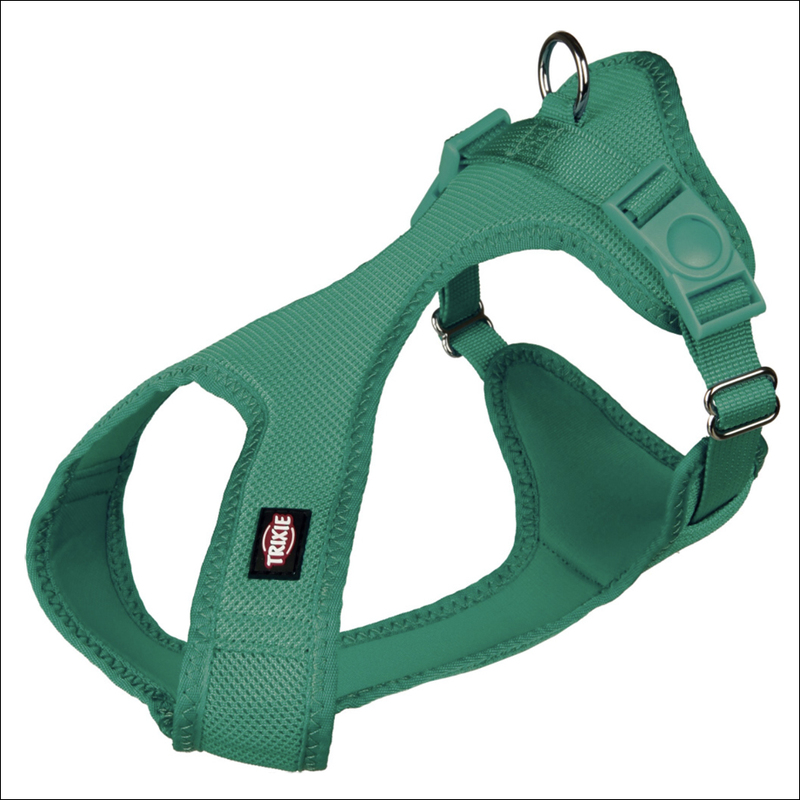 These harnesses are not available for dogs with chest sizes larger than 60cms, which is around the chest size of a Border terrier or a Springer spaniel. And finally, a word or two of explanation of the available colours. Red and black don’t need explaining. ‘Fuchsia’ is a distinctive magenta-pink colour – very feminine – whilst ‘Ocean’ is an extremely attractive and unusual blue-green colour.